School life is an important part of our St Gerard's community. Events, clubs, fixtures and our house system all work alongside our academic curriculum. 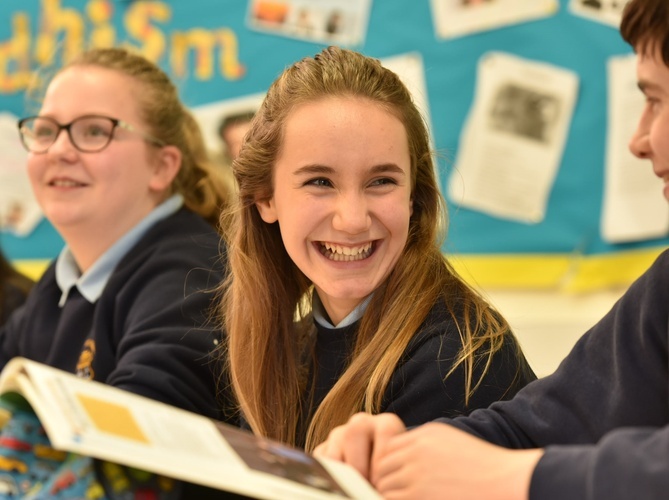 The programme for Years 7 – 9 (Key Stage 3) covers all areas of the traditional curriculum through the medium of English and is common to all students. 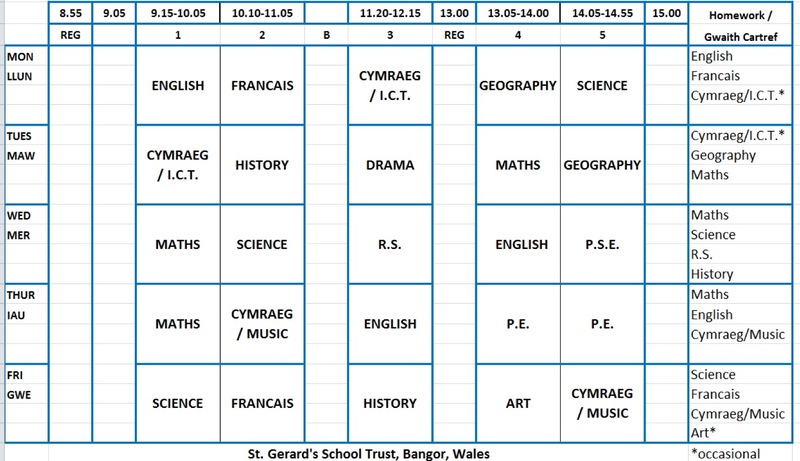 Many of the subjects follow aspects of the Welsh National Curriculum although by Year 9 students are beginning to cover aspects of the GCSE curriculum. The school offers Welsh as a second language and is committed to broadening horizons through the study of a modern foreign language, currently French. Assessment is carried out on a regular basis across the curriculum throughout the year. More formal testing also occurs - at the end of a term or a course unit, as appropriate. Reports are issued twice yearly. Formal parents' consultations also occur throughout the year and parents are welcome to make contact in the case of any concern they may have at other times. 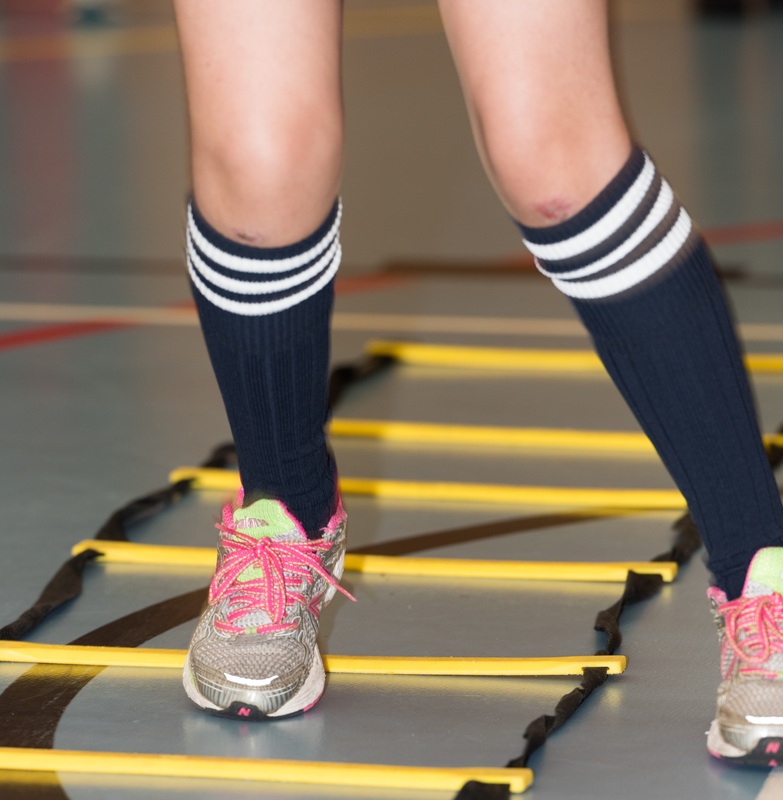 Throughout Years 7, 8 and 9 pupils are also able to engage with extra-curricular activities on a weekly basis with sports clubs and activities both at lunch and after school. Trips are arranged to engage with: inter-school competitions, local and national museums and outdoor adventure experiences. St Gerard's School Trust is a co-educational independent day school, ages 4-18, that aims to create a Christian setting in which every young person has the opportunity to make the most of his or her individual gifts, we are members of the ISA and WISC.